End of Watch. The words create in my heart and soul a tremor that begins to spread outward from deep in my core. As it ripples to the surface, I begin to cry. I cannot help myself, you see, I am the mother of a law enforcement officer, and every single day I lift my boy up in prayer, begging God to surround him in His powerful protection, and to allow him to go home to his family at the end of his shift. End of Watch – words that the family and co-workers do not ever want to hear about anyone in law enforcement, the thought filling the soul with dread, sadness and an empty hollow void that can never be filled. After what was mostly a good weekend, some very sad news hit our state, and for us, it was closer to home than for others. I started preparing the regular post for yesterday and today, but just couldn’t focus on it. 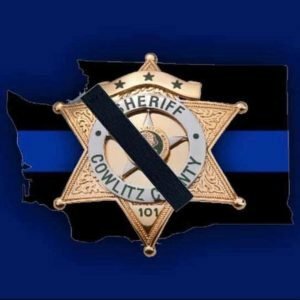 For anyone who did not see it in the news, in Cowlitz County, WA 29-year-old Deputy DeRosier lost his life in the line of duty when he stopped to check on a vehicle that was blocking the road. There are some news accounts that are saying the criminal who shot the Deputy actually set up an ambush by calling in to report the vehicle that was blocking the road, and when the Deputy arrived, he shot him. Though Deputy DeRosier was airlifted to the hospital, it was too late. The manhunt for the criminal, who got away temporarily, took all day, but late in the evening he was located, in the process he began shooting at law enforcement and ultimately was shot in return and died. I feel no sadness for the loss of this monster, and I am sure that the family of DeRosier is relieved, however a very long, sad life now begins for his wife and 5-month-old baby daughter, as they live on without him. My heart grieves for them, for his parents, other family and his work family. I know my son is feeling this deeply, as he used to work with this young man, and I am sure the rest of the people he has worked with are grieving too. 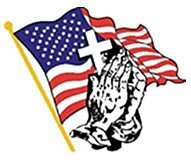 I ask for prayers for the men and women who put their lives on the line doing their duty every day, and pray for the families of our heroes – they sit at home and pray for the ones they love to come home every day, knowing that the day may come when they don’t. 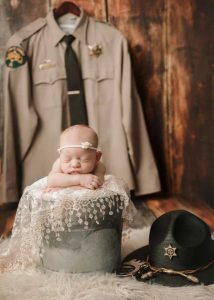 God bless this Deputy’s family as they move forward without him. Deputy DeRosier, your sacrifice will not be forgotten. You served your community well. Your memory will live on in the life of your beautiful daughter, and in the hearts and minds of those you served, and the ones with whom you served. May your spirit be blessed, and may you rest peacefully in the arms of God. End of Watch – April 13, 2019 – Deputy DeRosier – you are now and always will be, a hero. Out of respect for Deputy DeRosier and this solemn event, I am not going to post celebrations for a day or two. Somehow the silliness just seems disproportionate with the seriousness of this loss. God bless you and I’ll see you in a day or two.